Lincoln — Bold will join landowners and citizens on Wednesday in Lincoln to deliver applications to file as official “intervenors” in the Nebraska Public Service Commission’s review of TransCanada’s proposed Keystone XL tarsands export pipeline. WHEN: Wednesday, March 22, 4:00 p.m. 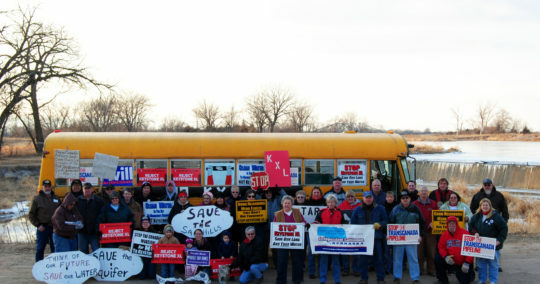 Along with landowners on the route of Keystone XL, and citizens concerned about spills and the effect KXL will have on climate change, Bold itself will be filing an application to serve as an intervenor in the PSC review process for Keystone XL, which can take eight months to a year and is expected to include public hearings in addition to the quasi-judicial “intervenor” process. 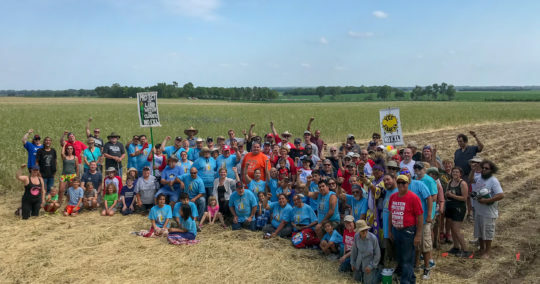 Landowners will be represented at the PSC by attorney Dave Domina, who has led the legal fight waged by landowners against KXL and eminent domain for the past six years. According to several new polls, more Americans now oppose than support construction of TransCanada’s proposed Keystone XL tarsands export pipeline. 48% of Americans said they oppose Keystone XL, compared with 42% who support it, according to a Pew Research Center poll conducted Feb. 7-12. The share of the overall public favoring the pipeline has fallen 17 percentage points since 2014 (from 59% to 42%). The breakdown by party in the poll shows that Democrats are now strongly opposed to Keystone XL, with 74% opposed and just 17% in support — less than half the share that did so three years ago (44%). In another recent (Feb. 23) Quinnipiac Poll, 51% of American voters said they were opposed to Keystone XL, compared with 38% who support it. In Nebraska, the pipeline permit application process at the Public Service Commission can take eight months to a year. The process calls for public hearings and other opportunities for comment, including an official intervenor process where landowners and others are represented by attorneys, and testimony is heard from experts and others in a quasi-judicial setting. TransCanada also cannot apply to use eminent domain authority again to take farmers’ and ranchers’ land against their will until September 2017, according to applicable Nebraska state law governing the use of eminent domain. 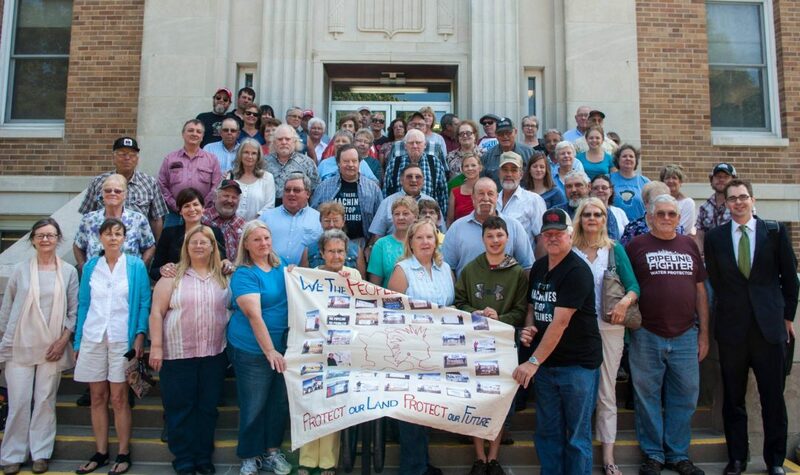 The collective of Nebraska landowners who held out against selling their land to TransCanada remains strong — many are still in court suing TransCanada for the money they have already spent on attorneys and court costs battling eminent domain for over six years. President Trump’s State Dept. abandoned established procedure and eliminated any opportunity for public comment on TransCanada’s federal permit application and the Environmental Impact Statement for Keystone XL, the same review that led Sec. Kerry and President Obama to determine the pipeline was not in the U.S. national interest. The State Dept. received more than 1 million comments from citizens the last time around.